eko & Isotoma have created an online customer forum for O2UK. 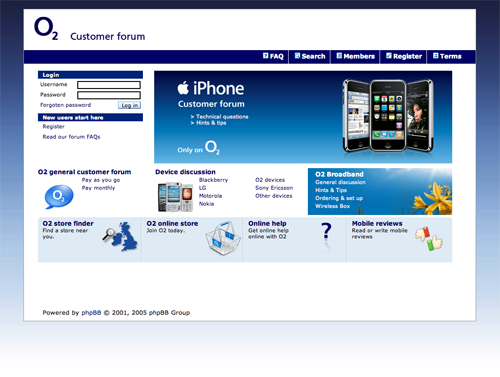 The customer support forum went live with the launch of the iPhone, which is exclusive to the O2 network. The online forums represent an innovative and effective way of making the most of the extensive functionality of the iPhone and indeed, of all of O2’s products and services. If you would like to know more feel free to call.